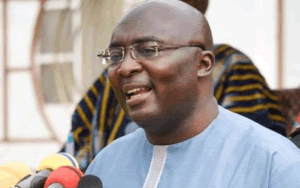 Vice President, Dr Mahamudu Bawumia, on Thursday gave the assurance that government would fully support the Ghana Academy of Arts and Sciences (GAAS) in its mission towards the creation, acquisition and utilization of technology for national development. He lauded the Academy for its service to the scientific community and asked the leadership to recognize the achievements of the Fellows and pursue scientific excellence through public lectures, research and publications. He acknowledged the contribution of the Academy, over the years, for promoting education and urged it to continue offering critical advice to the Government towards achieving the country’s educational and other visions. Vice President Bawumia made the call when he launched the 60th Anniversary celebration of the Ghana Academy of Arts and Sciences (GAAS), in Accra. The year-long celebration is on the theme: “Sixty Years of Scholarly Excellence: Achievements, Challenges and Prospects”. The event attracted the Academy’s Fellows, heads of agencies, academia, researchers, students and members of the public. The Vice President urged members of the Academy to foster new generation of talented scientists by setting up a scheme to support and nurture them. He urged them to facilitate linkages with the scientific community through broad exchange programmes and promote dissemination of scientific knowledge and publications. Vice President Bawumia said 60 years in the life of an institution was remarkable and worth celebrating and congratulated the members for chalking such an enviable milestone through exhibiting patriotism, scholarship and integrity. He said on assumption of office in 2017, the Government instituted measures towards the implementation of the Free Senior High School Policy to ensure all children of school-going-age received education. He expressed the conviction that, very soon, the majority of the population would be highly educated to aid the socio-economic development of the nation. Vice President Bawumia said since its inception, the Academy has not stopped discussing issues about artificial intelligence and other contemporary and pressing national issues, which demanded government’s attention, especially in the world whereby technology and innovations were becoming the drivers of change. In view of that, he said, the lives of Ghanaians are being infused with current technology spanning the national identification system, digital address system, paperless ports system, e-banking system and mobile money interoperability platform. The Government, he said, had set up a digitization agenda to improve the efficiency of many agencies, enhancing accessibility and payment of public services towards removing the temptation of corrupting simple processes and procedures that were meant to improve the quality of lives of the citizenry. He said technology has changed the traditional production and consumption dynamics and being used in agriculture in some countries, which enabled farmers to make advised projections for crop yields and the health of the soil. He observed that healthcare delivery is gradually attaining precision as technology enabled effective medical diagnosis with stakeholders recording more accurate data with efficient processing of national documents. The Ghana Academy of Arts and Sciences was established by an Act of Parliament on the initiative of Ghana’s first President, Dr Kwame Nkrumah. Following the signing of the instrument of Incorporation of the Ghana Academy of Learning on November 21, 1959, the Academy was inaugurated on November 27, 1959. At its foundation, the aims and objectives of the Academy are to promote the study, extension and dissemination of knowledge in Arts and Sciences. It is also to maintain proper standards of endeavor in the fields of Arts and Sciences in Ghana and to recognize outstanding contributions to their advancement.